Minister without Portfolio Audrey Tang and Taiwan venture capitalist Lee Kai-fu were named among U.S.-based magazine Foreign Policy’s 100 global thinkers Jan. 23. Tang, Taiwan’s digital minister, featured in the reader’s choice section that was selected via an online poll, while Lee was listed under the technology category in the 10th edition of the ranking. The magazine described Tang as a “star computer programmer and entrepreneur.” It also said that her use of video conferencing to address U.N. members showed the cabinet minister’s dedication to her post. 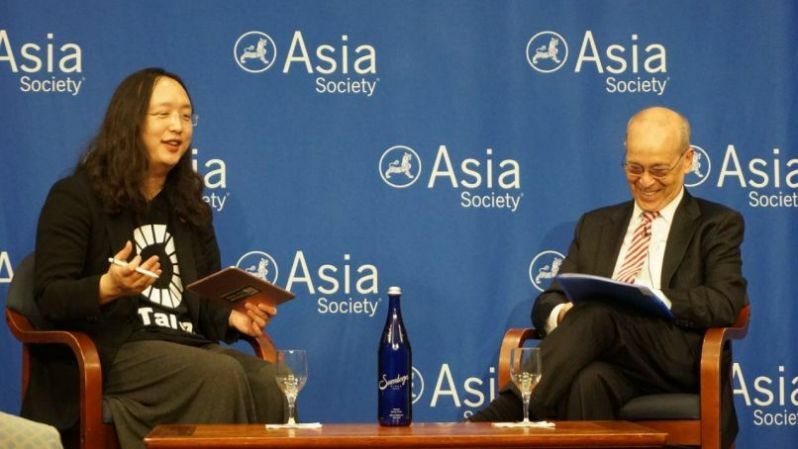 In a tweet on her Twitter account, Tang wrote that it was an honor to be included among the global thinkers. “This is recognition of Taiwan’s democracy and social cohesion,” she wrote, adding that it was also an affirmation of the resilience of the people and their ability to work together towards achieving open government. Appointed the nation’s digital minister in 2016, Tang has overseen a number of creative measures for deepening citizen-government cooperation in crafting legislation, policies and programs. These include the establishment of a network of officers in each ministry assigned to engage with civil society and the Social Innovation Lab, a facility for fostering new social enterprises and hosting public meetings on related state-led initiatives. Other names listed in the reader’s choice section include Tonga LGBT rights activist Joey Joleen Mataele, South Korean President Moon Jae-in and Michelle Obama, best-selling author and former First Lady of the U.S.
Lee’s argument that artificial intelligence and humankind can coexist if society changes its fundamental concept of work brought him to the attention of the magazine as well as his early innovations in speech recognition technology. The founder of Beijing-headquartered venture capital fund Sinovation Ventures, previously worked at technology heavyweights like Apple Inc., Google LLC and Microsoft Corp., according to Foreign Policy.